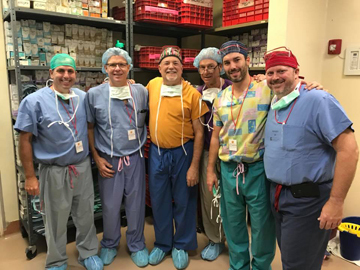 This week, former AAHKS President, Brian S. Parsley, MD led a team that included Immediate Past President Mark I. Froimson, MD, MBA and other AAHKS members on a medical mission trip to Antigua, Guatemala. “This is an awesome team of AAHKS members working together on another medical mission team with Faith In Practice. We will be serving those in need this week while in Guatemala this week and experiencing the joy of this life changing Medical mission work,” said Dr. Parsley. See photos and learn more about the mission.